We've been loving your Spooky Snaps. You’ve been getting into the Halloween spirit in plenty of time with outrageous outfits and frightening face paint. We’ve seen all sorts of characters across the region this weekend as you donned your costumes and headed out to celebrate fright night. Halloween will officially arrive tomorrow, and from the looks of our Spooky Snaps it looks like you lot are well and truly ready. The zombies, witches, ghosts and goblins have all been out and about - and we have even spotted a familiar character or too, including Chucky, Edward Scissorhands and boy wizard Harry Potter. Your dressing-up skills are amazing! 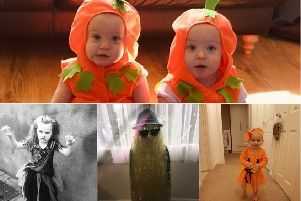 Click through our picture gallery above to see if we’ve included your picture - and to try and get last-minute inspiration for your own costumes for October 31. 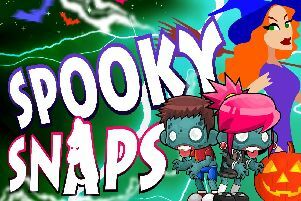 *If you want to share a Spooky Snap with us please send them to our Facebook inbox. Don’t forget to include the person’s name, age and where they’re from.